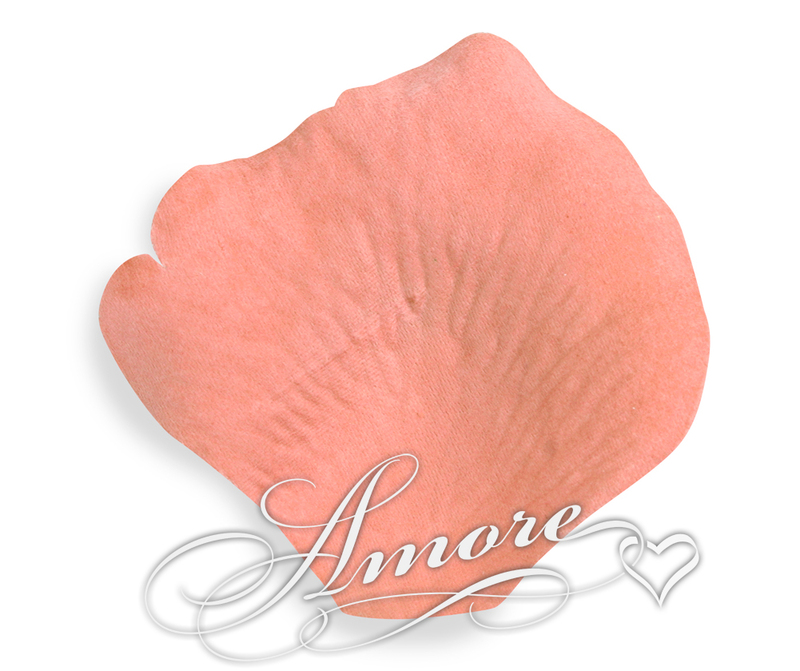 Silk Rose Petals Apricot Light Terracotta. Rich in color and realistic looking. Perfect for a social occasion or an extravagant bath. The elegance of this color will leave a lasting impression for all whom celebrate with you. High quality silk rose petals. No small or sheer petals between. Petal size is 2 inch H x 2 1/4 inch W.